Friday at Pleasure Point Marina (just a block from your cabin).
. cabins are available . 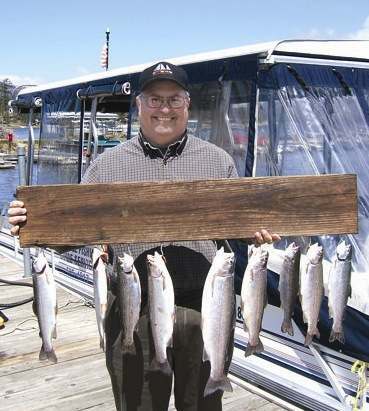 "We take care of all Golden Bear Cottages guests who come to fish with us. 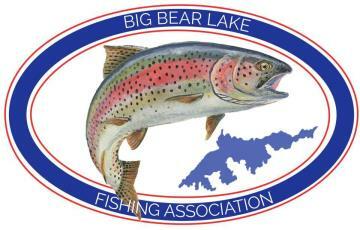 Big Bear Lake fishing experiences, year after year after year. Thank you." Lucky Bear Fishing Charters provides the perfect way to spend a day relaxing and fishing for rainbow trout with friends and family. Our Pleasure Point Marina location on Southern California's Big Bear Lake is convenient to Las Vegas, Tucson, Scottsdale, Phoenix and San Diego. always hold true since there has been nothing good to report for months. It has been a rough start to our spring fishing, however we are seeing a bit of light at the end of the tunnel as for now. It's very interesting after you drop 12k lbs. 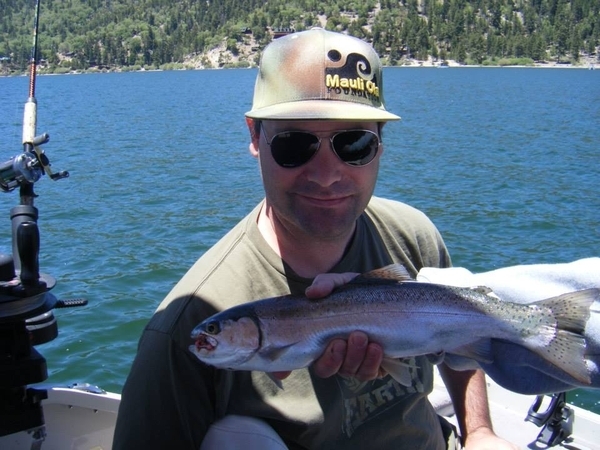 of rainbow trout into the lake that people start to catch Rainbow trout "weird". This weekend was a perfect example of just that. The 50K was a hit as folks from California and beyond came to try their luck on slaying the power ball fish. I hear that fishing was good and most caught some, and a few caught a lot, and scattered in were a few real monsters that hit the scales. The DFW has been showing us a touch of love and dropping a load of rainbows here and there which adds to filling up every nook and cranny with Pescado. The water is warming and the lake is beginning to stratify and be fickle which will help suppress the algae bloom that seems to be hampering our visibility among other things. Currently sinking Rapalas and leaded line used to sink a colorful needle fish are producing. Drifting dough bait is always a great go-to if nothing else seems to be enticing a bite. 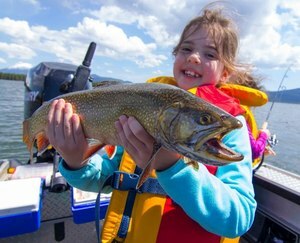 We are not far away from the magical suspended fish slip bobbing extravaganza AKA "controlled depth fishing" which happens every summer when the lake layers (stratifies). The lake is warming fast and this will change everything. Lakes are like snowflakes and this one is melting fast. Spring bass fishing has been phenomenal; we are seeing excellent size and numbers. Crank baits and plastics are smoking them; super-hot bait is the smoke colored gitzit tube bates. also a go-to along with the magic of anything that smells like feet. The moment you all have been waiting for, the carp are up and everywhere. The spawn just keeps on going like an energizer bunny. Lots of folks are taking advantage of the early spawn and sharpening their skills for the greatest tournament on earth. The 14th annual Carp Round-up will be taking off without a hitch on the 17th and 18th of June. We are only taking the first 10,000 entrants so snooze you lose. Raffle is out of control this year everyone wins. You can check availability easily and make secure online reservations by using the box at the top left. Please enter the promotional code if you have one before clicking GO to receive qualifying discounts. 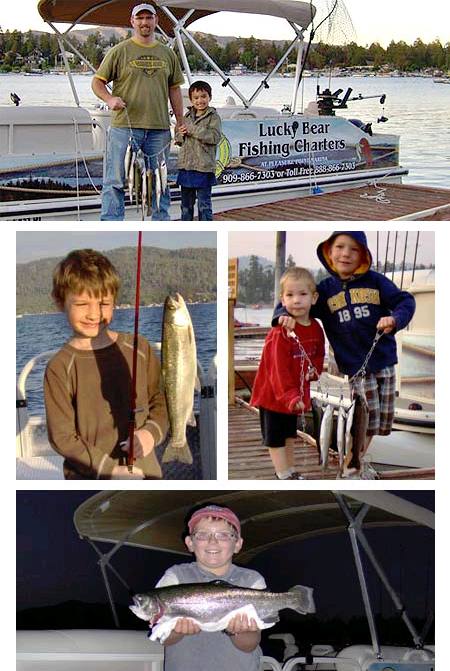 Lucky Bear Fishing Charters is operated by Mike and Trish, the only husband and wife professionally licensed charter fishing guides on Big Bear Lake. Call Mike and Trish at Lucky Bear Fishing Charters today at 909-866-7303, or browse our website for more information regarding your charter fishing guides , charter fishing packages and lake tours or what to bring. If you have any other questions or comments, please e-mail us. This may be the easiest report I have ever put together because the fishing is that good and it really doesn't matter what I say, YOU WILL CATCH FISH. Currently Rapala and Needlefish are working well on the troll. The folks using the drift method have been very successful as well. Dough bait from the shoreline is always a good go-to this time of the year. The Lake is packaged full of beautiful trout right now and we are seeing some of the best fishing in a decade. The water is mixed so there is no honey hole at the present time however the fish are moving to the west as the water warms. So get out and try your luck and catch something for the grill. 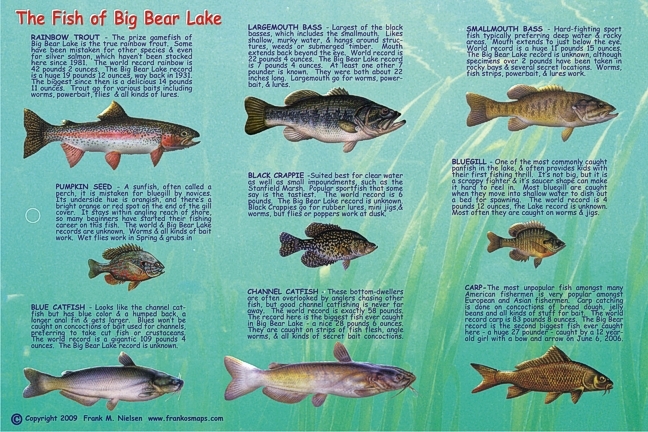 Bass fishing is good along the structure; we have seen a lot of fish in the three pound range. The carp have not shown their face as of yet but we hope to see sprinklings of uglys soon as the granddaddy tournament of them all is rapidly approaching. We planted over a million fish last fall and trout fishing has already been very good with DFW adding a few nice truckloads of catchables lately. We are seeing quite a few limits of respectable fish hitting the scales. The fish are scattered all over the massive body of water and working the surface when the sun is high in the sky with a big pile of metal flashy stuff and a crawler on your line always seems to work this time of the year. For shore fishing folks, the magical dough bait on a light lined leader with a sliding sinker will produce as always. I like the light colors of dough bait like white and the patriotic American flag; red, white, and blue as a go-to color when the water is cold. Besides, if you don't catch a fish it makes you feel like you are living the American dream. BIG BEAR LAKE 2017 FISHING SEASON IS NOW OPEN ! 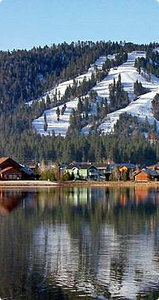 FISHING SEASON IN BIG BEAR LAKE! Today: A 20 percent chance of showers and thunderstorms after 11am. Mostly sunny, with a high near 78. Southwest wind 5 to 10 mph. Tonight: A 20 percent chance of showers and thunderstorms before 11pm. Mostly clear, with a low around 52. West wind 5 to 10 mph becoming light and variable. Saturday: Sunny, with a high near 79. Northeast wind 5 to 10 mph becoming southwest in the afternoon. Saturday Night: Clear, with a low around 53. West wind around 5 mph becoming south in the evening. Sunday: Sunny, with a high near 80. Southeast wind 5 to 15 mph becoming southwest in the morning. Winds could gust as high as 20 mph. Monday Night: Mostly clear, with a low around 52. Tuesday: Sunny, with a high near 77. Wednesday: A slight chance of showers and thunderstorms. Mostly sunny, with a high near 79. Wednesday Night: A slight chance of showers and thunderstorms. Mostly clear, with a low around 51. Thursday: A chance of showers and thunderstorms. Mostly sunny, with a high near 77. Thursday Night: A chance of showers and thunderstorms. Mostly clear, with a low around 50. 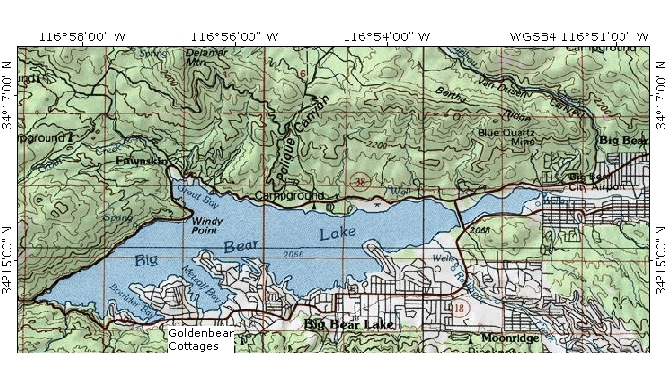 Big Bear Lake surface water temperature is approximately 72 degrees. 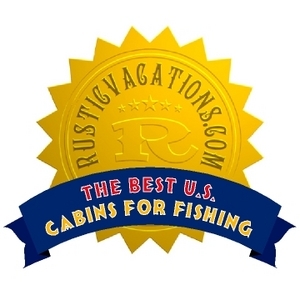 Join our free Fisherman's Club and get these great offers: one free day with each paid weekday of lodging at world famous Golden Bear Cottages in any size cabin, also 20% off each hour for pontoon or fishing boats daily at Pleasure Point Marina (just a block from your cabin). Call us today at 800-461-1023 and we will enroll you in our Fisherman's Club for free ! Start saving ! 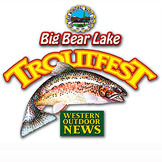 Big Bear Lake is the best spot for trout fishing in Southern California. Not only do you get a great day of fishing, but the scenery that surrounds is superb! WE take care of Golden Bear Cottages guests who fish with us.